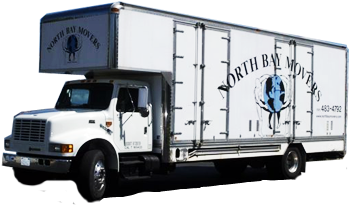 I have used North Bay Movers in Santa Rosa for 3 different moves over a 6 year period. Each move involved packing, loading, moving, and then unpacking. I used them for 100% of my move, and even use their storage facility to store some items that we are not using right now. They are a full spectrum, sophisticated moving company that can handle any and all part of each of my moves. I loved their service, attention to detail, honesty, care while handling all my finest art/china/furntiture, price, and best of all their sense of humor. No one likes moving, and North Bay Movers made my move as enjoyable as any move could possibly be. I am a very meticulous, controlling, and observant person. I am not easy to please. David Nolan and his crew are professional, and top notch; the best I have ever seen, and that is why I use them for EVERY move. The first move we hired North Bay for, was all of our office furniture and equipment. This was a complicated and difficult move because we moved large pieces of machinery, and the move was handled with perfection. The next move was a huge move from CA to OR, which involved moving all of our office equipment and our entire 5 bedroom house– in essence 2 moves packed into one. We have 3 kids, 3 pets, and lots of stuff, so this move was very significant and daunting. David and his crew were able to exceed all of my expectations with perfection and care. The best thing about David and his crew is that they were able to “work” with me, and meet whatever silly requests I made. They were also very sensitive and friendly. During the packing process, I broke down while talking to one of the movers, and he was very sypathetic with me; and told me my feelings were normal and very common. He then assured me that everything would be OK. This human side of David and his movers is priceless; and it is what makes me always return to North Bay for any repeat business.